Welcome to your first Virtual Club Class!!! 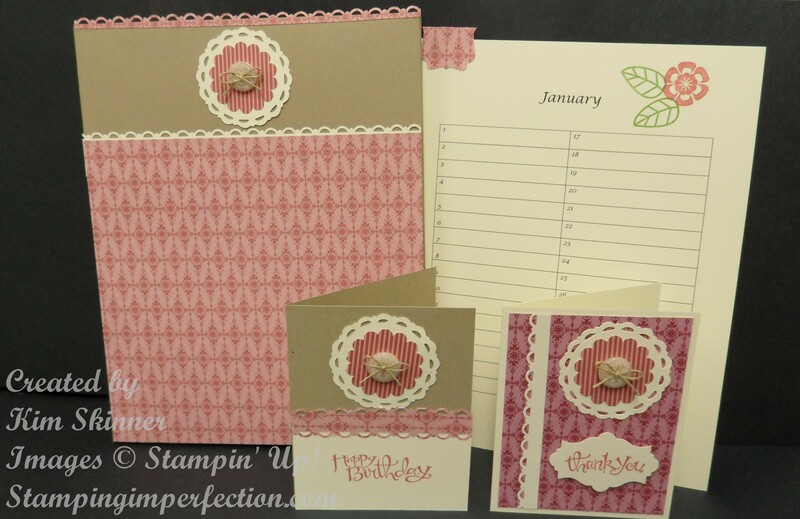 In this class you will be creating two cards, a perpetual calendar and a pocket to hold your perpetual calendar pages! You will need to print your perpetual calendar. There are 13 pages, one for each month plus one extra with no month label at the top (in case you want to decorate the month font on your own!). I put 13 sheets of Very Vanilla card stock in my printer and printed the calendar out. You can use regular copy paper if you like, or any color that you like!